When I was coming up, I can't tell you how many times I heard the phrase "a place for everything, and everything in it's place." I don't think at that time it really registered with me just what that meant. 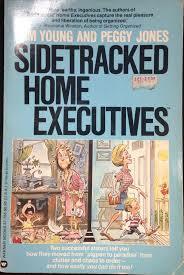 After I had my second child and decided to stay home full time, I was sinking fast in that direction until I wrote myself a job description, picked up all the books I could at the library to "sharpen my saw", and was lucky enough to come across the book "Sidetracked Home Executives". This book taught me organizational skill and how to be clean and uncluttered. I don't know if you have noticed, but homesteading requires a lot of "stuff". For every different set of animals on our farm, there is more "stuff". When you move onto your homestead, it is a great idea to live there for at least a year to figure out what you are going to use and where you are going to use it before you decide to try to get organized. Of course, it is also best to find out if an item deserves to have their own place, even before you bother. Sometimes you get what you thought was going to be essential and it just gathers dust. . .
we have always dreamed of.